In situ. Latin for “in its original place”. There’s something deeply moving about teaching history “in situ”. There’s something profoundly effective about learning history “in situ”. 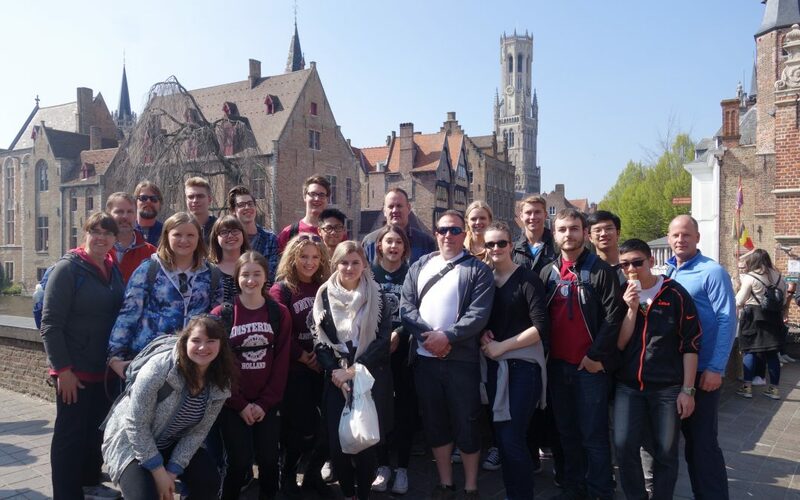 Bringing your students to Europe is all about being “in situ”. These special field trips come and go, but the effects of those days touring the grand and the intimate, the famous and the barely known, the ugly and the beautiful of the European experience will undoubtedly leave a lasting impression on the students who join you. Was there a dry eye after our tour of Dachau? Not that I noticed. Was there a look of boredom as we entered the Field of Miracles and got our first glimpse of the mesmerizing Leaning Tower of Pisa? Not a chance. Did anyone say “What time does class end?” as my walking lesson about the Renaissance unfolded in Florence, the birthplace of the modern world? I don’t think so. Connections were made. Truth and beauty were revealed. Relationships (peer to peer and student to teacher) were strengthened. Bellies were filled with delicious food – and perhaps too much gelato. And the tragic and amazing story of humanity became much more real to all of us. Our collective cultural literacy took a couple of steps forward. For most of these students, this was their first time away from their little corner of the Earth and off of the continent of their birth. I know from past students that for most of them, it certainly won’t be their last.